Blog / Six Nations Pack Giveaway! The Six Nations is here and to help you celebrate - or calm those nerves - we have a 6 Nations pack to giveaway. See image for full terms and don't forget to share! For your chance to win, LIKE the image on Facebook and leave us a comment! Closes 5pm Fri 19/02/2018, see image for terms. Don't forget to share! Good Luck! 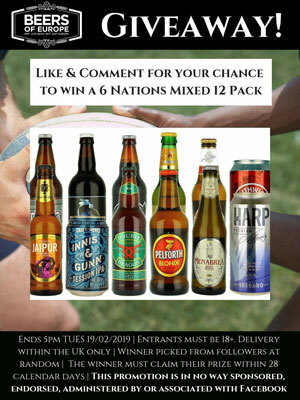 If you don't win you can always buy Six Nations Pack a online from us here. Sign up to our newsletter and keep upto date with our latest Giveaways/Competitions! Ends Friday 5pm 19/02/19 - see image for full T&Cs.